Raro Lae sat down with Nigerian artist, known for his hit single,"Sugar Cane". Chibbz originally signed with Made Men Music Group, also known as MMMG (Triple MG), in 2017. This explosive interview is broken into two parts (Part 1 & Part 2) Chibbz breaks down how his partnership turned record label deal transpired, including his impromptu meeting with Don Jazzy --- where Don Jazzy flew out on his birthday to meet with Chibbz, at Chibbz' uncles request --- prior to signing with MMMG. Chibbz opted out of signing with Don Jazzy, as he explains in the interview. In this tell all sit down interview, Chibbz revealed that he is no longer with MMMG, and he actually left the label last year, after MMMG CEO Ubi Franklin failed to meet several contract agreements. Chibbz, also spoke out for the first time about what happened on June 30, 2018 at Lekki penthouse bar and lounge -- Ubi Franklin's establishment. In Ubi Franklin's rendition of what happened that night, he alleged that Chibbz and three other men attacked him. 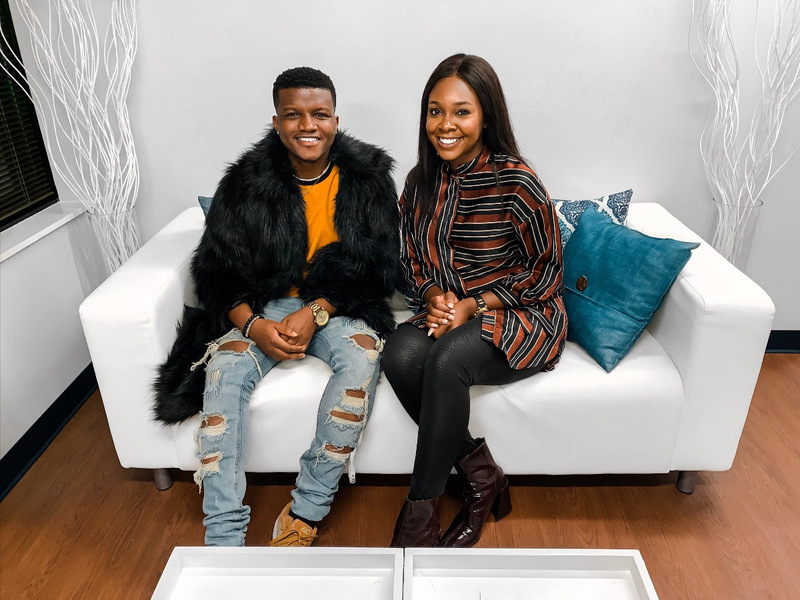 However, Chibbz gives a detailed account and insists Ubi Franklin was the main perpetrator of the attack, and in fact that he did not come with any guys, and only attended with his sister. He remembers Ubi Franklin attacking him from behind ,as he allegedly grabbed Chibbz shirt and sucker punched Chibbz, while Chibbz was walking away. Chibbz goes on to state that Ubi Franklin actually bit him, as well, during this brutal attack. "He just couldn't control his emotions, that just says what type of person he is"
Contrary to Ubi Franklin's account of investing his own personal money into Chibbz, Chibbz explains in extensive detail that the money was coming from his own personal funds( despite Ubi Franklin taking 60% of all Chibbz earnings) and another label mates investor -- which was one of the factors leading to the contract cancellation. Despite this setback, Chibbz is still in high spirits and set to release his EP, entitled "Wolf", in the summer of 2019. He also is in talks with a major record label in America, which was confirmed offline. In this interview, Chibbz personal background and personality shines through, allowing viewers to get to know him on a more intimate level.